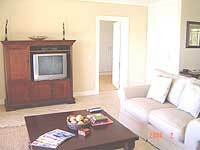 Echo Bay is a luxury villa offering up market yet affordable self catering apartment accommodation in Fish Hoek, Cape Town, South Africa. 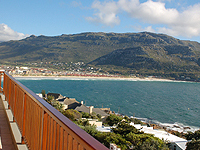 Perched on the False Bay side, which is the perfect position for whale sightings, Echo Bay offers spectacular views and up-market luxury apartment style accommodation. 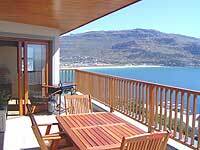 Echo Bay is a 5 minute stroll from Cape Town’s powdery Fish Hoek beach with its warm waters. On either side of the apartment, with direct access to the deck/balcony, are two spacious, en-suite bedrooms with unobstructed sea views. 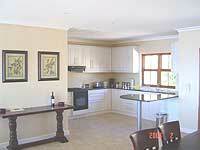 There is a common lounge / dining area and kitchen serving both units. Easy access to rail transport directly into Cape Town City Centre and the new Cape Town Soccer Stadium. “Many thanks for your superb hospitality and warm welcome to Cape Town! We are already planning our return.” John & Caroline, Dublin, Ireland. 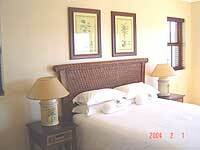 “What a great place! Thanks for your warm hospitality. We really felt at home.” Sasja, Sanna & Susanne, Finland.